In a sauce pan over medium heat, combine the first six ingredients. Cook stirring constantly, until steaming but do not boil, about 8-10 minutes. Remove from heat, add the chocolate chips, salt and vanilla and stir until smooth. 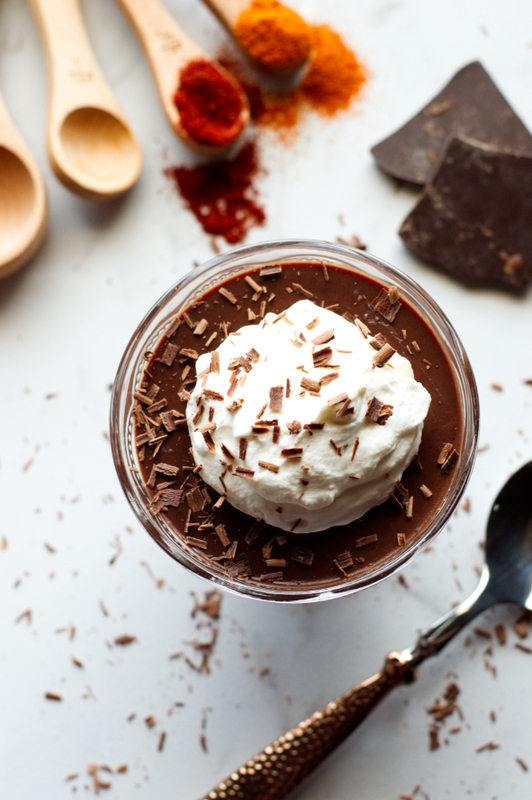 Spoon the chocolate mixture into ramekins (about 4 oz), espresso cups or desired serving cups. Cover with plastic wrap and refrigerate for at least 3 hours. To serve, top each serving with whipped cream.